Even in a sport as relentlessly in motion as Formula One, the Christmas break presents an opportunity for reflection and a chance to re-set goals ahead of a new season. The spectre of 2018, whether considered a success or failure, will continue to hang over F1’s competitors, but in 2019 the slate will to certain extent be wiped clean, with the combination of new aerodynamics regulations, a bevy of new drivers and another closely contested midfield offering hope that next season could belong to just about anyone. So what major questions are begging for answers from the sport’s 10 teams and 20 drivers next year? 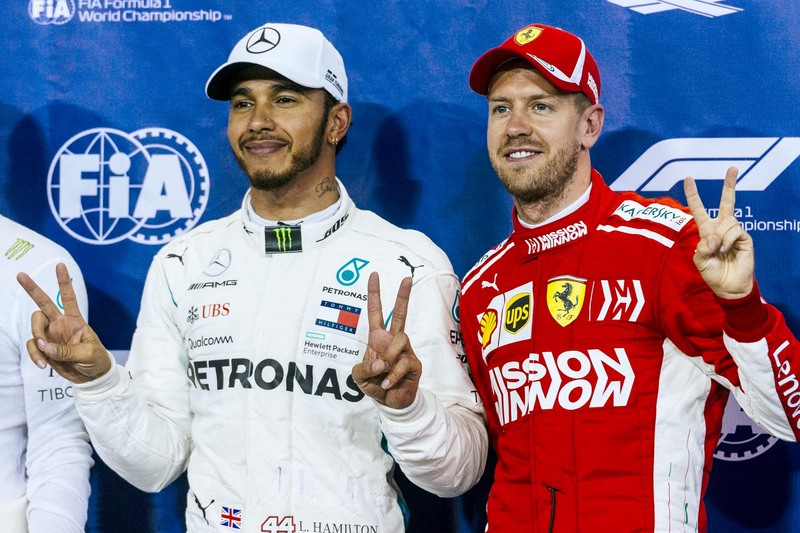 It’s likely that Ferrari will be relied upon to make the championship fight interesting in the face of a rampant Mercedes team for the third season in succession, but there’s more than just the 2019 title at stake. Mercedes is coming after Ferrari’s record of six titles in succession, set between 1999 and 2004, and with fully 10 years now past since the Scuderia’s last constructors crown in 2008, the 2019 season will be about defending the proud Italian team’s legacy. But the death of CEO Sergio Marchionne dented the team’s building momentum, and stories of a power struggle between principal Maurizio Arrivabene and technical head Mattia Binotto just won’t go away. Ferrari, infamous for its meltdowns in moments of adversity, will have an almighty fight on its hands to bring either title back to Maranello. Will Honda power Red Bull Racing’s dreams? Honda’s return to Formula One as a power unit supplier in 2015 has been one of immense and high-profile woe, but it will attempt to rise from the ashes of its 2017 McLaren divorce when it partners with Red Bull Racing from next season. RBR joins the Japanese manufacturer after five years of heavily criticising Renault for delivering uncompetitive and unreliable engines — all the hallmarks of Honda’s engines to date — but it has apparently been sufficiently impressed with Honda’s performance with sister team Toro Rosso this season to take the plunge next year. F1 could use a genuine three-way title fight, and the resurgence of Honda would make that story all the more sweet — but bridging the gap from competent to championship-winning may be too far in one season for the Japanese company. Is this the year of the Renault renaissance? Three teams in title contention would be great, but how about four? Renault joining the top-three party is almost certainly too big a leap for 2019, but Renault has its sights set on a title tilt by 2021, and just how big — or not — a step it makes on 2018’s results next year will be an indicator of how likely it is to meet that lofty goal. The arrival of Daniel Ricciardo will be a major motivator for both the team and for Nico Hulkenberg, who performs best when his teammate is a genuine threat. The French squad will benefit from their work, steepening the development curve. But there are substantial hurdles to overcome. Renault is overhauling its power unit next season, and Honda’s massive step backwards in 2017 is evidence of how painfully this can go wrong. There’s also the sheer size of the gap to the top three teams, which will only continue to grow next year, which risks leaving Renault in no-man’s-land, off the podium but ahead of the midfield, in 2019. McLaren was the second-slowest team by the end of 2018, an embarrassing result after suggesting podium. Purely by managing expectations will 2019 be less painful, but there’s no getting around the fact that the team is in the middle of a massive competitive rebuild. CEO Zak Brown said it could take anywhere between two and 10 years to return to competitiveness, consigning one of the sport’s great teams to the back of the midfield for at least another year, almost certainly with fellow former icon Williams, but the team must do something — anything — to convince suffering fans and doubtful sponsors that it’s at least on the right track. Will overtaking be any easier? The complexity of current F1 aerodynamics has made following and passing extremely difficult without a significant pace advantage, and F1 motorsport boss Ross Brawn revealed this year that the following car loses on average 50 per cent of its downforce when as far as three car lengths behind. Long-term changes due for 2021 aim to reduce this loss to 20 per cent, but some tweaks to the aerodynamics rules for next year could improve racing by “about 20 per cent”, according to Brawn. These changes are an interim measure ahead of the sizable 2021 overhaul, and some teams are quietly confident they can recoup downforce losses quickly, but any improvement should be welcomed by fans and drivers alike. Can anyone stop Lewis Hamilton? But above all these questions and the many more to be asked and answered in the next 12 months is the simple quandary that will exercise the minds of F1’s elite drivers: can anyone actually stop Lewis Hamilton? The Briton undoubtedly stepped up a gear in 2018, enlivened by the thrill of fighting a multiple world champion in another car and engaged by the enthusiasm of his Mercedes team to back him in his fight to continue improving. Sebastian Vettel came off thoroughly second best this year — and if not the four-time champion in the famous scarlet machine, then who? I can’t wait to find out. See you in 2019.